We offer 2 exceptional solutions designed to turbo-charge your lead generation efforts. Our email lead generation software lets you turn your cold contacts into warm B2B leads. 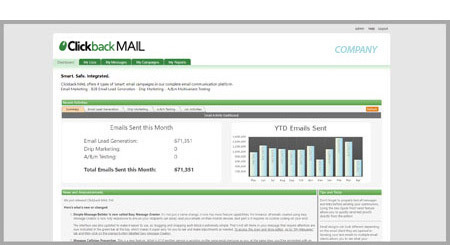 Clickback MAIL allows you to safely send emails to your purchased list. 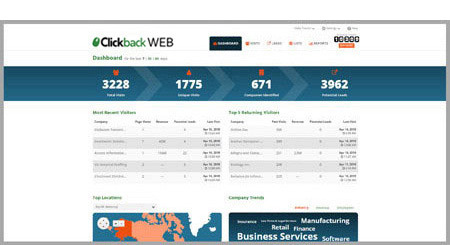 Clickback WEB turns your website into the ultimate sales prospecting tool. Identify the companies that are visiting your website but don’t fill out a contact form.